Small symptoms that progress over time can lead to a decline overall quality of life. For Magdaleena, the symptoms of brain fog, joint and muscle aches and pains, and lack of energy wreaked havoc on both her personal and professional life. Frustrated by people’s unbelief and misunderstanding, along with finding no relief from prescription medications, Magdaleena sought out a natural solution that changed her life! 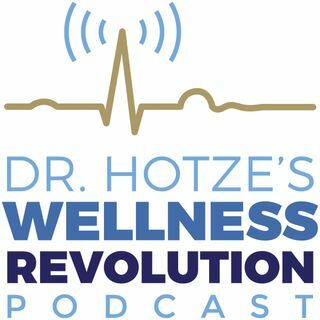 On this week’s podcast Dr. Hotze is joined by a guest of Hotze Health & ... See More Wellness Center, Magdaleena Szczeglik, as she walks us through her journey of getting her life back in only 6 short months! Together, they discuss the importance of proper diet and natural supplements in restoring our health and maintaining a life balance. They also discuss the importance of having a health advocate to coach you through a transforming, life-changing health experience!